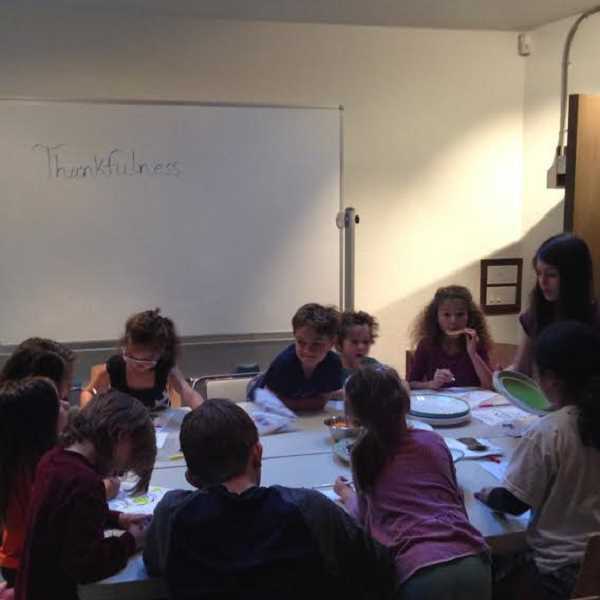 The young founders and teachers of the Ash Street Virtues Class have quietly been making a difference in the lives of children since the group first came together in October 2015. 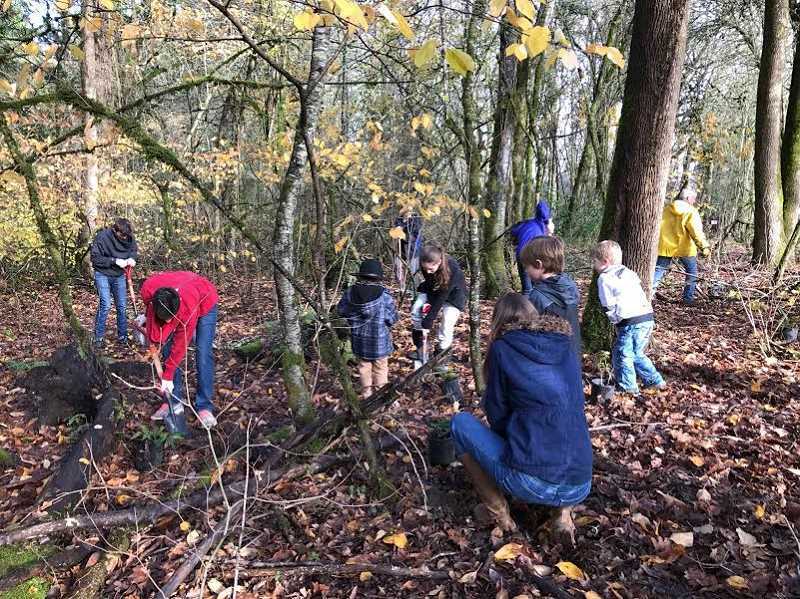 Lakeridge Junior High School seventh-grader Jada Badiyan says that when her family moved to Lake Oswego — to Ash Street, to be exact — almost two years ago, she wanted to acquaint herself with her neighborhood and to be of service. Baha'i by faith, she previously had taken and then led classes designed to foster positive virtues in children. "When I was in these classes, it changed the way I thought about things. So I thought it might be nice for other children if I gave them the same thing because it really helped me," she says. Jada and her co-founder, home-schooled eighth-grader Julia Yazhari (who is also of the Baha'i faith), teach classes that are inspired by faith but open to children of all faiths, and they focus on developing good qualities in children. Every other Sunday, about a dozen kids — from the neighborhood and from outside of Lake Oswego — listen to Jada and Julia present on topics such as love, service and respect— with an overarching message of unity. The pupils, ages 5-9, then participate in an activity such as drawing or musical chairs to illustrate the lesson. And they also perform community service. "We teach them virtues, and a lot of them share stories about what they've done with the virtues," Jada says. "And it's really amazing seeing their transformation with leaning how to use all of these virtues. It's really powerful." Julia says the classes have taught her hpw to cooperate with a peer and how to present information to children. "I've learned a lot," Julia says. "How to teach virtues and how to explain them well, and also how to work well with the kids and how to keep them interested but also having fun." 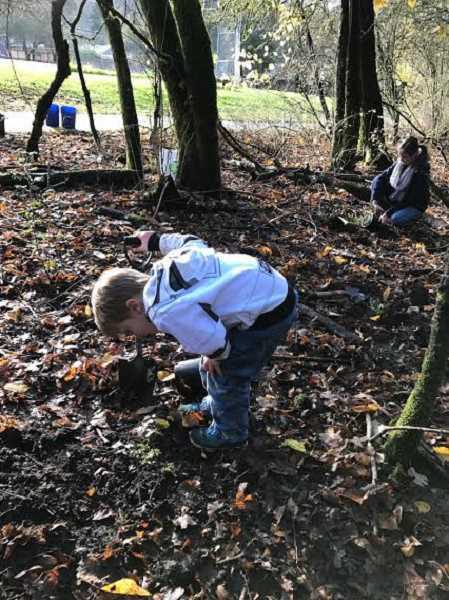 Last month, Jada, Julia and their students caught the attention of employees at the City of Lake Oswego Parks & Rec Department because of an act of service. 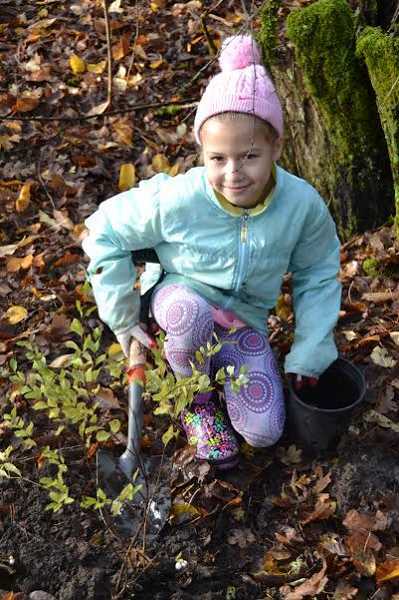 Natural area maintenance worker Eric Hirshberger says he was glad to meet Jada and Julia and their team of students when the group participated in a tree-planting event on Dec. 4 at Hallinan Heights Woods. "I thought this group was amazing," Hirshberger says. "It was inspiring to see how the older kids were helping the younger ones. They all came to the volunteer event ready to work; they planted 200 plants in an hour and a half. All the kids were great. They asked questions and really enjoyed helping to restore a natural area." That kind of attitude is what Jada and Julia seek to foster in their students. "It was fun to implement the virtues: service and kindness to the Earth, and the kids really enjoyed it and had a great time," Julia says. The virtues Jada and Julia teach — which also include generosity, thankfulness, patience and more — reflect aspects of the Baha'i faith, which was founded by Baha'u'llah in Iran in the 19th century. Ideologies the religion espouses include oneness of God, oneness of humanity, the importance of education and freedom from prejudice. Teaching kids positive concepts has deeply influenced Jada. "It's really inspiring to see all of these kids doing these virtues and using them in everyday life and helping others and being kind to others," she says. Jada and Julia say they didn't just wake up one day and decide to have a class. To spur interest, Jada went door-to-door to rally neighbors and created her own fliers, and she always had Julia to help when she needed support. Jada says she wanted to be like the rest of her family members, who are always trying to help others, and Julia's family also pitched in to support the class. Jada's mom, Arya Badiyan, says the two young women have also impacted the adults in their lives. In June 2016, the adults in the Ash Street area founded a book club that reads works to inspire acceptance of all people in the wider world. For example, their first selection was an article by Ta-Nehisi Coates in The Atlantic called "The Case for Reparations," which is about institutionalized racism. Badiyan says the Ash Street Virtues Class and the book club emerged from the good works of the children. She adds that she is so impressed with how her daughter initially reached out to neighbors when they'd only just moved to the area. "Just as a parent, my daughter had a lot more courage than I did and a lot more determination," she says. The move to the area came about because Badiyan recently made a courageous decision of her own. The family came to Lake Oswego after living in a variety of places, starting in Minnesota but also including Mexico and Switzerland. She says she previously worked as an international marketer for General Mills, but the corporate world wasn't right for her. The family came to Lake Oswego for the schools, and Badiyan is now writing a sci-fi-fantasy novel called "The Echoverse" (echoverseseries.com). Her husband, Chad, is one of the founders of Harmony Equity Group, a community of businesses that includes SecondMuse, which helps nurture innovative projects. As for Jada and Julia, there could be many more community service projects in store for their Ash Street Virtue class. Jada says she's looking for more opportunities to help the community, including service projects for Parks & Recs. "If there are other service activities, we'd love to join them, because (the students) really love it," she says.